Manchester United's three recent treks to Anfield have resulted in successive humiliating defeats. But while Liverpool take home the points, United take home the trophies, reversing the roles of the clubs in the 80s. Manchester United&apos;s three recent treks to Anfield have resulted in successive humiliating defeats. But while Liverpool take home the points, United take home the trophies, reversing the roles of the clubs in the 80s. Fact: the last time Liverpool won the league Alex Ferguson had yet to win his first Manchester United trophy. It’s details like this which are worthy of their own ditty as United supporters swagger into Anfield on Saturday and holler the number ‘19’ again and again and again. Two years ago, Reds were armed with beach balls in tribute to the inflatable’s contribution in deflating Liverpool at the Stadium of Light two weeks previously, and there was also the small matter of informing the neighbours down the East Lancs Road that United were back. 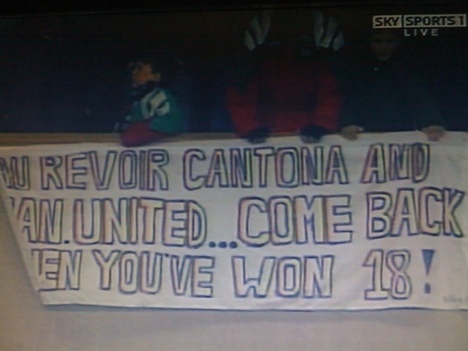 In 1993 Scousers informed United to ‘Come back when you’ve won 18!’, so United did, now tied with their rivals after 2009’s league success. Scousers will always savour a win over the Mancs, but the cold truth is that Liverpool have morphed into the United side of the 80s whereby, starved of success, their games against English football’s most successful side has become their cup final. United beat Liverpool a staggering 10 times to the Merseysiders’ four over the course of 25 games in the decade of Miami Vice and Thriller, including the 1985 FA Cup semi-final replay memorable for Bryan Robson’s long-range pearler. Anfield away for United supporters is tantamount to what Old Trafford was when Liverpool visited 30 years ago, as a moribund home crowd finds its voice because the champions have come to town and the incentive to claim the prize scalp spurs the team on to victory, despite their inferiority. But like Liverpool under Bob Paisley, Joe Fagan and Kenny Dalglish in that period, they now take the trophies home if not the points. The fixture at L4 two years ago promised schadenfreude galore in the away end, but it was marred by a gutless and forlorn United performance in the second instalment of an Anfield horror trilogy which, like the Saw films, has got progressively worse. In 2008 Carlos Tévez&apos;s early opener was a mere footnote as Liverpool rallied to win 2-1 whilst every United player save Rio Ferdinand turned in a display of unsettling abjectness. In the 2009 contest, Liverpool were down in the doldrums, lying in 8th place having suffered four defeats in their opening nine matches and without their captain Steven Gerrard while Fernando Torres started half-baked. Yet they motivated themselves due to the opposition and Torres scored, and without him last season, Dirk Kuyt scored a hat-trick when a lightweight United were steamrolled by the might of Lucas Leiva as the Merseyside resurgence Kenny Dalglish had galvanised continued. The incentive to claim the prize scalp spurs the team on to victory, despite their inferiority. It is monotonous to dwell on United’s regularly toothless, gormless and incoherent midfield, but its three-year inadequacies have been just as expertly exposed by Liverpool as they have by Barcelona. In the past three Merseyside defeats on the red side, Paul Scholes and Michael Carrick have started. One can’t tackle, the other doesn’t tackle. Nemanja Vidic’s return with Chris Smalling is pivotal to not only tightening up a defence that has been as leaky as Downing Street but, with Phil Jones as well, won’t think twice about mimicking Norman Whiteside in his Scousebusting heyday. It would have been distressing for those on the terraces to witness only Rafael da Silva show some bite in the most recent Anfield clash. With the roles of success and failure having been shared between English football’s two biggest clubs over the last four decades, it illustrates that the underdogs, irrespective of how esteemed they are, are always compelled by the showpiece’s tribalism and coverage to ensure that they gain the right result. In 1985, Liverpool’s waiting supporters greeted Ron Atkinson’s United players off the coach by letting off teargas, but such hostility only intensified the fearless visitors to succeed, and they prevailed 1-0 thanks to a Frank Stapleton header. Jamie Carragher’s lunge on Nani last season, as well as the melee in a separate incident involving Maxi Rodriguez, Rafael and Luis Suárez was branded ‘ugly’ by all and sundry, but isn’t a patch on Whiteside’s 80s escapades. ‘I remember John Barnes getting an elbow in the Adam&apos;s apple,’ he recalls. ‘I got him round the throat and then Steve McMahon tried to come near me and I think I stood on his little toe or something like that. I thought his little toe was around about his shin though, didn&apos;t I?’ In the pre-sanitisation world of football, some of the violence should have been shown after the watershed. Saturday will be the first time United have played Liverpool with more league titles than their north-west adversaries in the club’s 133-year history. Brandishing superiority will not be difficult for the 1,900 supporters in the Anfield Road end (there was Red Issue fanzine’s Where Eagles Dare-inspired assignmentbanner in April), despite their allocation being reduced. But Liverpool are primed to upgrade it into a horror quadrilogy.